Nothing could be more disappointing than to get arrested for a DUI during Oktoberfest in Helen, GA. Law enforcement will be doing everything possible to keep the public safe. We do not want to deter people from visiting Helen, GA during Oktoberfest. It is a very fun and popular destination for any time of the year, but we hope that you will be better informed about the increase in law enforcement and the danger of being arrested for a DUI. 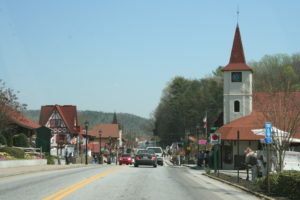 One of the popular things to do in the fall, is to go to Helen, GA for Oktoberfest with friends and family. Along with Oktoberfest comes the beer drinking and eating a lot of German food. It is a popular destination for college students, but some are not of drinking age and law enforcement officers are definitely mindful of that. With the beer drinking, it is very important to remember that a festival goer is still under the obligation to not drink and drive. Before coming to Helen, it is a good idea that people make plans to have a designated driver or a place to stay for the night. It is very easy to get wrapped up in the activities and forget to have a plan. It is also very important to remember that law enforcement is well aware of what is going on at Oktoberfest. They will be on the look out for underage drinking and various acts of suspicious behavior. Outside of Helen, you can be pretty sure that there will be an increase presence of law enforcement including roadblocks, looking for DUI offenders and alcohol possession by a minor, to make sure that the public is safe during this annual fall festival. At A. Bishop Law, our Georgia DUI Attorney welcomes questions on Criminal Defense laws, Traffic Laws and Georgia DUI laws. Please Call or Email us with any questions.